Whenever you plan a trip to a country where malaria is prevalent, you need to take precautions by investing in the right anti-malaria drugs that are currently available to combat this terrible disease. Continue reading to learn more about this important topic so that you can rest assured that you are taking every step possible to properly protect yourself before you travel. First off, you should understand that there is a common misconception that claims that anti-malaria drugs are expensive. The truth, however, is that these drugs are more affordable than you probably think, and they are definitely not outside of your budget if you have health insurance to cover you. In fact, anti-malaria drugs are surprisingly affordable for all of the protection that they provide you with, and you can get your medications very affordably at places like the London Travel Clinic. Malaria is a very serious disease because it can even lead to death. 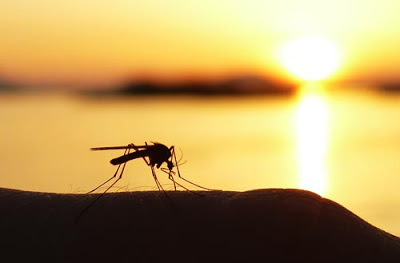 It is caused by a parasite that typically infects a particular type of mosquito that then bites humans and infects them with the parasite as a result. There are actually four different types of parasites that fall into the malaria category and can infect you. Symptoms of malaria include chills, high fever, and other flu-like symptoms. Taking the right anti-malaria drugs can prevent malaria before it infects you. This will let you travel around the world without having to worry about this potentially deadly illness. Even though it is possible to create a vaccine that would protect humans against malaria, because the disease is caused by a parasite, it is definitely a difficult endeavour. In fact, no vaccine has ever been made that effective protects people against parasites. There also are not enough financial and human resources invested into the task of creating a malaria vaccine, and people are concerned about malaria vaccination costs. So even though there has been progress towards a vaccine recently, nothing has been created, so the best way to protect yourself currently is through the use of anti-malaria drugs. Talk to your health care provider if you are planning on travelling to countries where malaria is present. Depending upon your medical history, travel plans, age, pregnancy status, drug allergies, and other factors, your doctor will determine which anti-malaria drug is the best one for you. Even though there are some anti-malaria drugs that act quite quickly and take effect in no time, there are some that require more time. Therefore, it is best to visit your doctor anywhere from four to six weeks prior to travelling so that you can get the drugs in time and allow them to become effective in your system. Again, even though there currently isn’t a vaccine to protect you against malaria, if you are planning on travelling to a country where the disease occurs, you should definitely invest in the appropriate drugs that will protect you from malaria.